The Great Niagara Craft Brewery Tour Event organized by PRowl Communications for Connecting Niagara was a great opportunity to showcase Niagara business, craft beers, food and locale. The last few months have been a little hectic for us here at PRowl. Between launching Connecting Niagara, planning contests and we're now working on our next networking and learning forum for September 28th - mark the date. Connecting Niagara is a community web and social platform to showcase everything Niagara -- from local events and happenings to news, information and fun. During the month of June, we organized the Great Niagara Craft Brewery Tour Father's Day Contest. Bringing together three craft breweries, a pub, transportation and photography services. The contest had participants entering for their chance to tour Niagara utilizing the services of Regional Limousine for the actual tour and delivery home by Niagara's Designated Drivers. The winner of the prize was Josh Davidson, a single father of three, who brought Nicole Doucette to celebrate the day with him. They had the opportunity to visit Brimstone Brewery, Oast House Brewers, Kame and Kettle Beer Works and finishing the day at Iggy's Pub and Grub. The prize included tastings, tours, lunch, dinner and beer to take home. 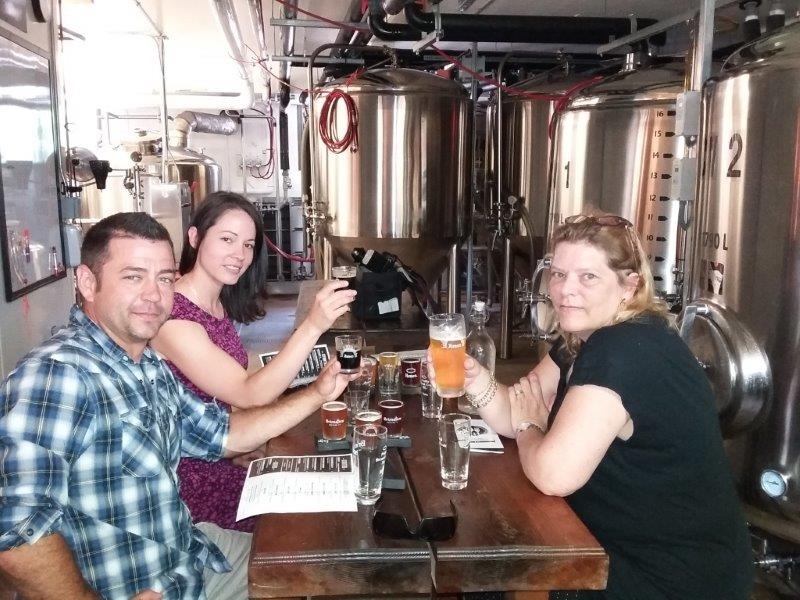 The couple had a great time learning about the local breweries, enjoying their brews and enjoying the company of myself and my photographer Andy Harris of Lev8 Low Level Aerial Photography. Definitely a Father's Day to remember. We're sure Josh will be back to the breweries in the future. This contest was a bit of challenge logistically. Coordinating transportation, arrival times at each of the brew houses and publicity. All in all it went extremely well. And more importantly, the winners are now aware of some of Niagara's newest attractions and were able to 'taste' Niagara at its best. The Connecting Niagara audience were able to follow along throughout the day through our social media coverage of the day as well. Follow Connecting Niagara for the complete article on the event out later in the week in The Story Place. Do you have a contest idea? PRowl Communications can help facilitate the contest through our tools and connections.